Home / HOW TO / 11 Apple AirPod tips you need to know because you never read the manual. There's more to the tiny wireless earbuds than meets the eye. Here's how to get the most out of your AirPods, and a few things you may not know. Apple's AirPods are convenient and wireless. They're finally available. And if you bought a pair, maybe you're wondering how to make the most of them (and hopefully not lose them). Apple's fully wireless Bluetooth earphones are pretty easy to figure out, but here are some extra things you may or may not know. After living with them for months, here are some tips. The pairing process for the AirPods takes 3 seconds -- literally. 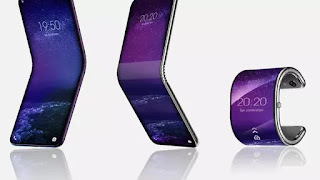 Open the charging case, wait for the prompt on your phone, tap Connect and you're done. Don't worry about repeating these steps on the rest of your Apple devices, as long as you use the same iCloud account on a Mac or iPad. Notice that small, flush button the back of the charging case? That's what you'll use to pair AirPods to an Android device, Apple TV or anything else that doesn't work with Apple's W1 chip. Keep in mind that when you're paired with a non-Apple product, they only play audio. Taking an AirPod out of your ear won't pause music, and double-tapping won't work either. To go back to using AirPods with your iPhone, just re-select "AirPods" from your iPhone's Bluetooth settings and they'll re-pair. I've never run out of AirPod battery life in a single day, but if you're a power-user making lots of phone calls, you might find them running low. One AirPod can work on its own as a Bluetooth headset. Keep the other in the case to charge, and then swap as needed. The other bud takes over seamlessly. If you want to listen to a live stream while doing other things casually, pop a single bud in while the other is in the case. It'll pump a stereo signal into one bud. Otherwise, with both AirPods out, it'll only get one ear's worth of stereo. 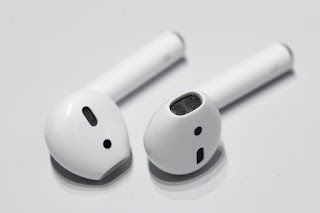 Tap on the "i" icon next to your AirPods' name. If you own an Apple Watch, here's a cool trick: When using AirPods, open Control Center on your Apple Watch and tap on the battery button. In addition to displaying battery stats for your watch, you will also find stats for your AirPods. Apple's quietly been pushing new firmware to AirPods to help with performance. You can't update the firmware manually, but you can check to make sure you have the latest version. In Settings, go to About on your iPhone when your AirPods are in your ears. At the bottom of the page, an "AirPods" tab will bring up model and serial number plus firmware version. The most current at this moment is 3.5.1. To do that, click on the speaker icon in the menu bar and select your AirPods from the list. Otherwise, you can use the AirPlay icon in iTunes to select AirPods to stream music from your Mac to your ears. Splitting AirPods between two people is like sharing headphones, minus the wire. But, alas, AirPods only make one mike active at a time. That means two people can't hop onto one phone call. But, you both could listen in while only one person speaks. What happens when someone else tries using your AirPods? A message letting them know the AirPods aren't theirs shows up. Of course, he or she can pair the AirPods to an iPhone with a tap on Connect, but it's nice to know someone can't sneak in some listening time on your AirPods without you knowing. While viewing your AirPods' settings, you can also change the double-tap functionality to play/pause your music or do nothing at all, instead of beckoning Siri each time. Unfortunately, AirPods can't do more remote functions than that yet.